For many of us, our Christmas wishlist has changed significantly as we've gotten older. Instead of fun toys, clothes, or the newest pieces of technology, we are now looking at things we can use inside our homes. Things that we need but also things that we love. Long gone are the days where we are hoping there is a new gaming system or the coolest new toy under the tree- now we are just hoping for a new vacuum that actually keeps up with our dog's shedding season. 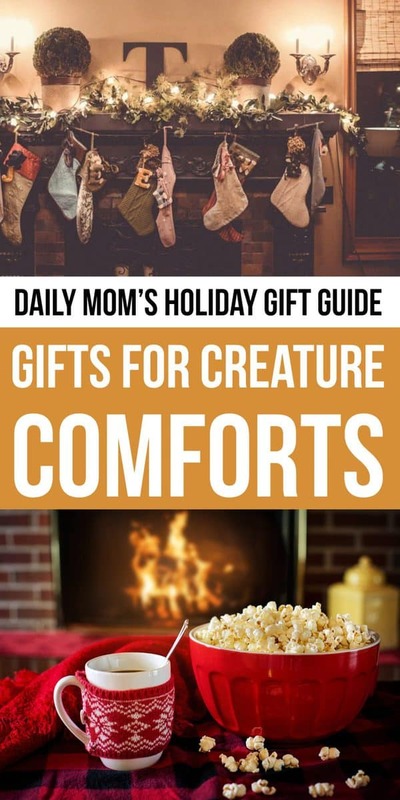 Daily Mom has found some great last minute gifts that are perfect for those creature comforts we have come to love as we get older. Let's get down to the nitty gritty- the American culture when it comes to toilet hygiene is behind the times. In many countries you can find heated bidet seats in public bathrooms. But here in the US we are still using plain old toilet paper. Why? 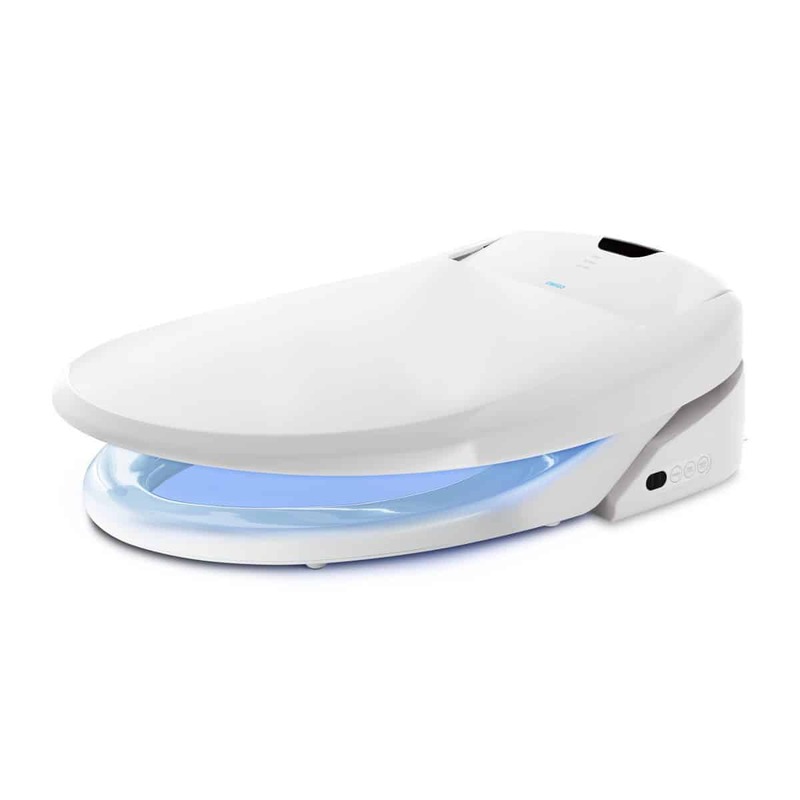 All of the features can be adjusted with the remote so you can have a personalized bathroom experience. The Omigo is easy to install and the nozzle is self-cleaning. It helps save thousands of sheets of toilet paper per year, making it an investment not only in yourself but also the environment. It will truly up your bathroom game this holiday season but just be careful- now your husband will take even longer in the bathroom (if that's even possible). 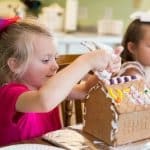 There is no doubt that you want your family to be safe during the holiday season, but that safety should extend throughout the year as well. This is the time of year when you have several people coming to your house- delivery services, mail services, and guests- and you want to be sure that when you answer the door you know who is there. 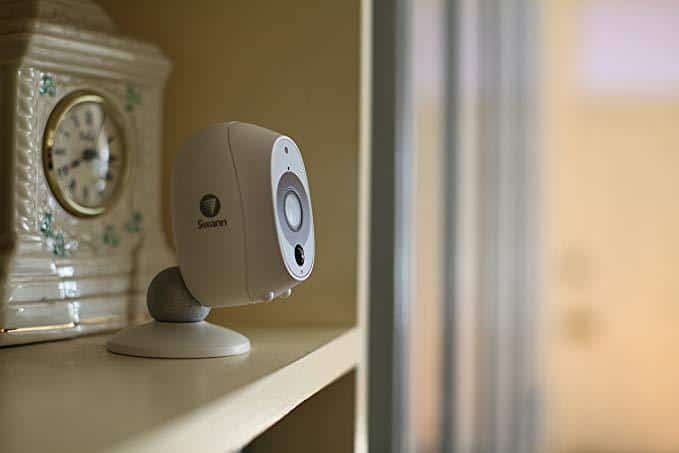 Swann Security offers several different types of home security options that are easy to install and affordable. 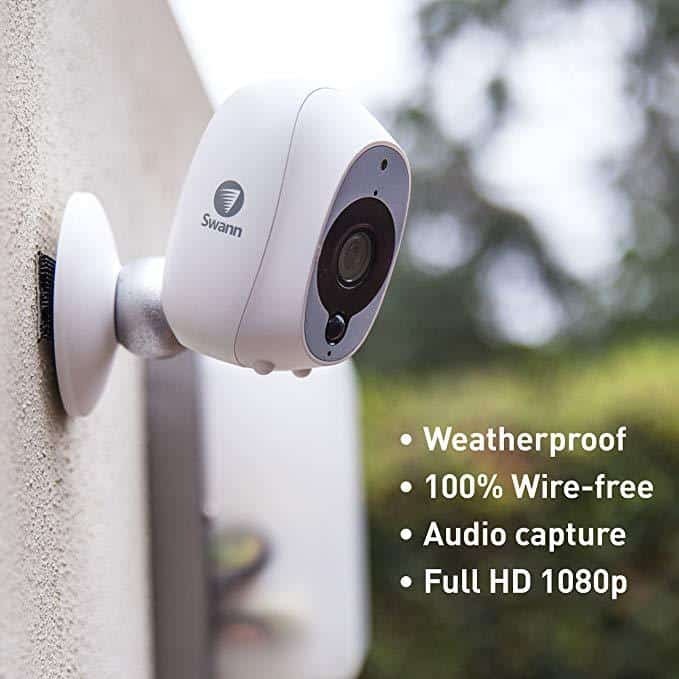 The Swann Security Camera can be placed inside or outside your home. It connects to your wi-fi in minutes, so you are able to see what's going on when you're not home as soon as you install it via the Swann Security app on your phone. 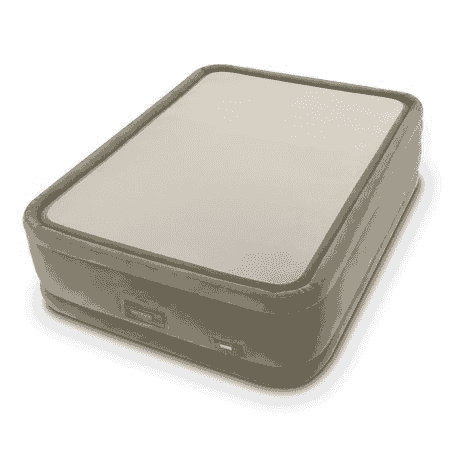 It saves up to 7 days worth of audio and video so you can look back if needed. 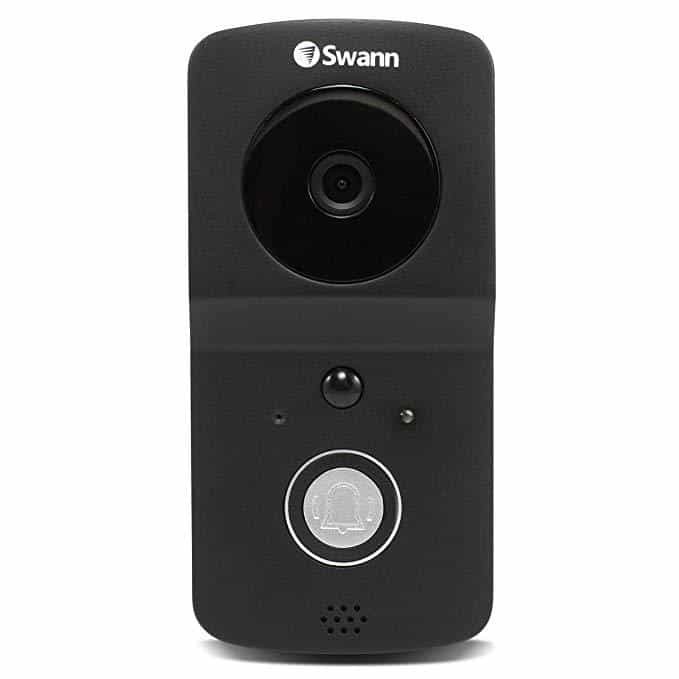 The Swann Video Doorbell gives you direct access to the person knocking at your front door. When they ring the bell, you are alerted via your phone's app and you are able to see who is standing there. This way you and your family know if it is safe to answer or if it is a stranger. It also has night-vision, 2-way audio, a 112 degree wide viewing angle, and responds to heat signatures for detection. Keep your family safe this holiday season and all year long with Swann Security. With the holidays approaching you want to be sure you have proper ambient lighting to set the mood for you and your guests. The Philips Hue can help to create the perfect atmosphere with just the touch of a button. With your smartphone, Alexa, or Google home you can adjust the settings on your Philips Hue lights or turn them off and on. Not only can you change the brightness and the dimming, but you can also change the colors in which your light displays. There are up to 16 million different colors and brightness options to choose from so you can create exactly the type of ambience you need for whatever setting you desire. The Philips Hue also works for your daily routine. Set it to a timer with a particular color or hue for your morning wake-up or when it's time to wind down. It's the perfect gift for someone who loves to entertain or who just likes to set the mood when they are home. 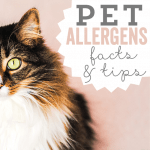 When shopping for a pet lover you can never go wrong with a gift that helps them connect with their pet throughout the day. Have you ever wondered what your pet does while you are away at the office? Thanks to the Petzi Treat Cam, you can answer that question definitively. 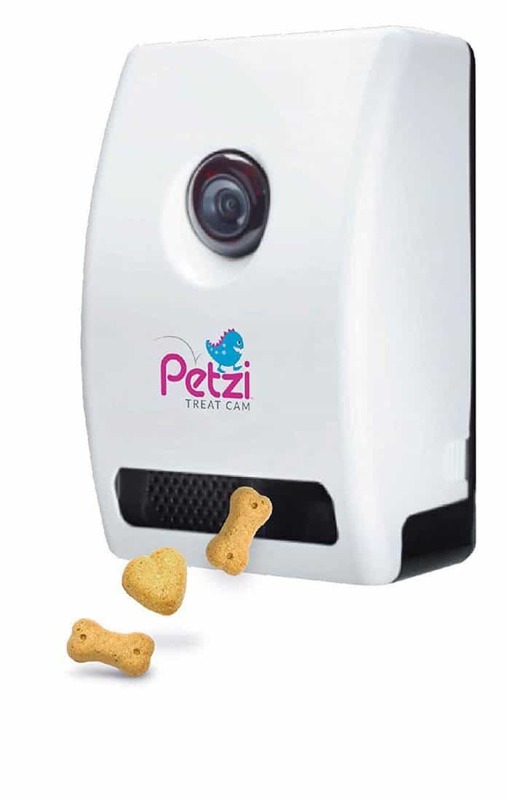 A gift for both the owner and the pet, the Petzi Treat Cam allows your gift recipient to watch their furry baby on wide angled camera and interact by launching dry crunchy treats as a reward. Built for both dogs and cats, Petzi allows you to remotely interact with and snap photos in stunning HD quality no matter where you are in the world. Created by the team of pet lovers at Wagz, the Petzi is part of a larger line of 'smart' products helping pet owners connect with their animals more effectively. Focused on creating a family of products to solve the needs of pet parents, Wagz products give pet owners the ability to provide more attention while alleviating worries about their animals throughout the day. Winter is creeping up and that means it's time to get cozy and warm. The Lovesac Footsac comes from your favorite furniture company, and their throws will do the same thing as their couches- make you never want to get up. 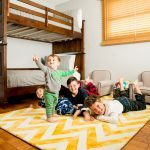 These plush throws come in several colors and patterns like Mousse Swirl, Eskimo Swirl, Wolf Phur, and Owl Phur so you can find one that matches your personal style and decor. Each one is 50'' wide and 70'' long, and comes with an 18'' foot pouch so your whole body can fit easily. The Lovesac Footsac is perfect for the home or for those on your wish list who travel a lot and need a warm yet compact blanket for their flights. There is no doubt that the holidays will bring guests to your door (or maybe you will be the one going to other people's doors). 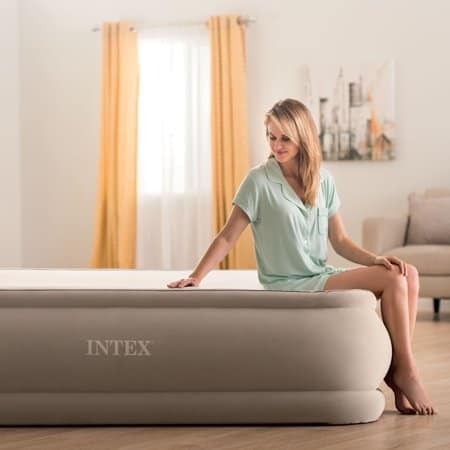 For those nights when you have extra people in your home or when you are crashing after a hard day of present opening, the PremAire Thermalux Airbed gives you a comfortable place to sleep without feeling like you're actually sleeping on the floor. This 20'' air mattress is elevated high enough so you feel like you're in a real bed. The internal pump makes it easy to pump it up wherever you are without having to remember to bring it with you. 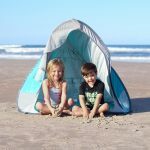 It inflates quickly and easily, and deflates fast by using the pump- just a touch of a button adds or takes out air. The rounded edges give you a little extra protection from falling off, and the soft velvet overlay makes it that much more comfortable. NO matter the temperature in your house (we're looking at you, dad) your guests will be comfortable because the soft-layer weave insulates in the cold and wicks moisture in the heat. 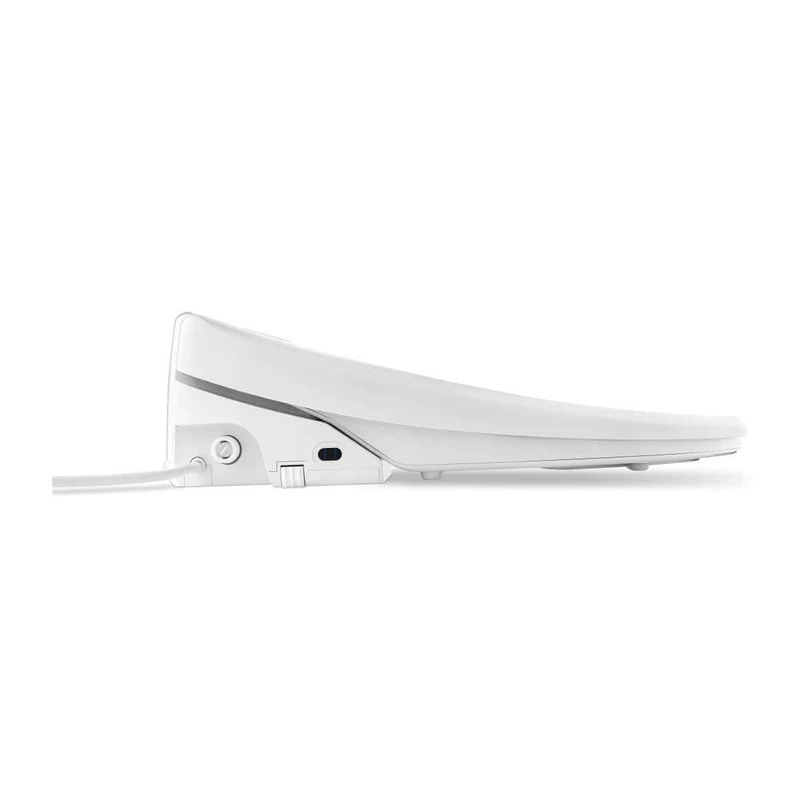 The digital pump even offers a firmness control and a USB charging port for your phone. Make your guests as comfortable as possible when they stay with you with the PremAire Thermalux Airbed. Nothing makes a young child feel grown up like having their own space in the family room. The Pebble Lounger will quickly become your little one's favorite seat to relax in the house. Featuring Certi-Pur-US foam and organic fabric, the Pebble Lounger is designed for your little one to be both safe and comfortable. Made with non-toxic and antimicrobial materials, the Pebble Lounger is parent-approved. 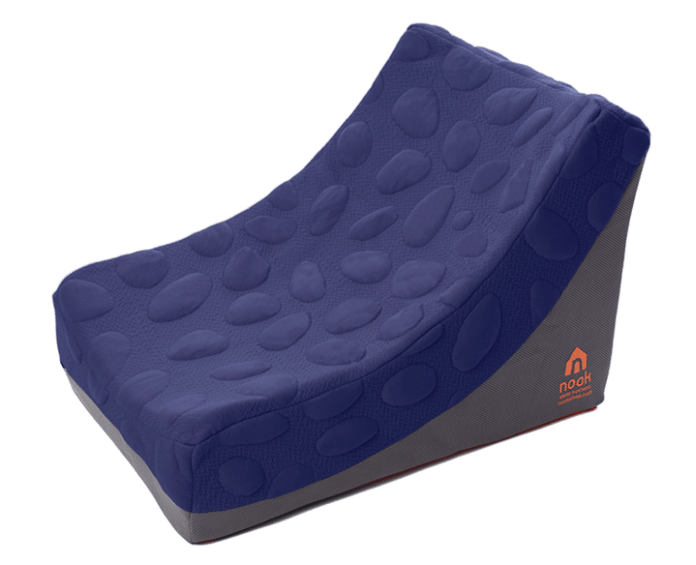 Designed knowing that spills are inevitable, the Pebble Lounger is easy to clean, for small spills, simply swipe the mess away with a damp cloth. For larger spills, remove the Lounger Wrap to clean in the washing machine. The Pebble Lounger is available in six vibrant hues. There is no weight limit on the Pebble Lounger, so your little one can cozy up with you or your family pet. Cozy and comfortable, the Pebble Lounger will be a stylish chair your little one will love to call their own. Can you ever really have enough blankets? 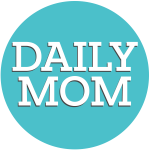 Here at Daily Mom our answer is a resounding no! And if that blanket promotes a deeper REM cycle and promotes a restorative sleep, we think you've found the gift that just keeps on giving. 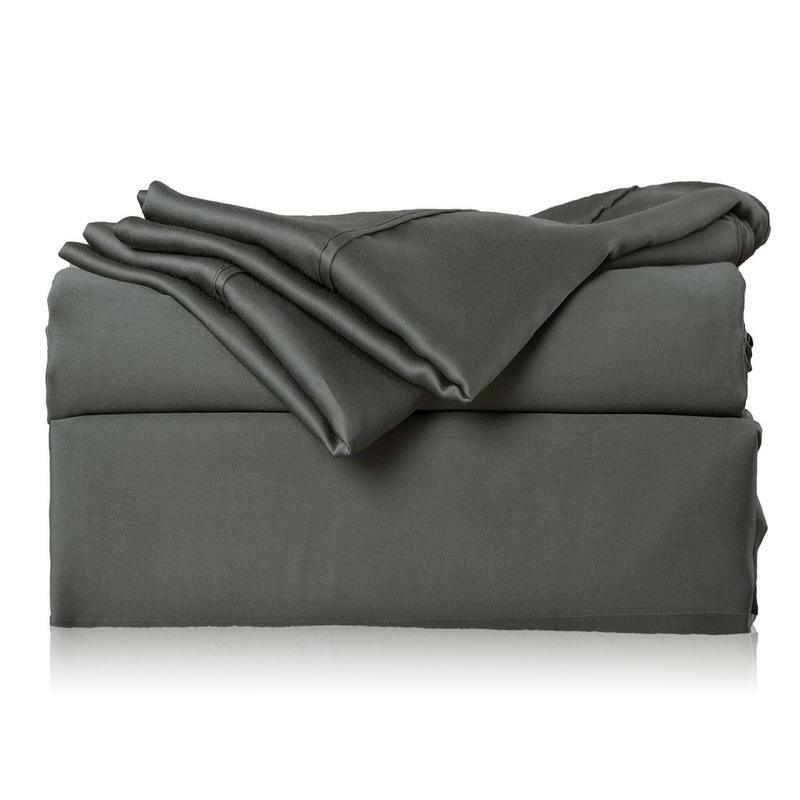 This season the Luna weighted blanket really is the gift that will keep giving all throughout the year. 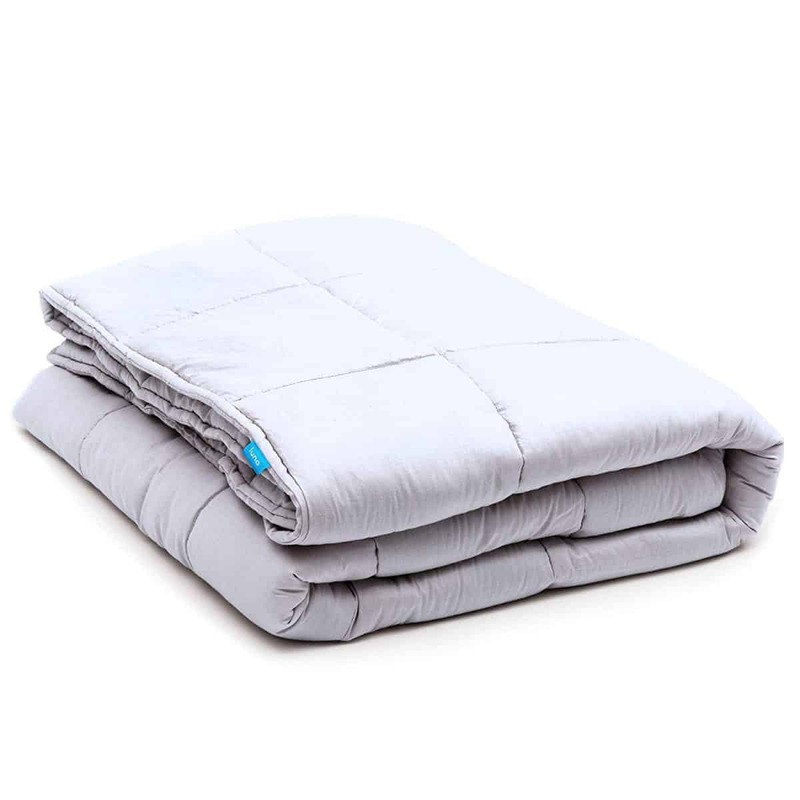 The Luna Weighted Blanket utilizes “Deep Pressure Touch Stimulation” (DTPS) to release serotonin and melatonin, reduce movement while asleep, and provide an overall calming effect to help achieve a deeper and better night’s sleep. The second you cover up with it you will feel the amazing sense of being hugged or swaddled and be engulfed in a feeling of warmth and safety. 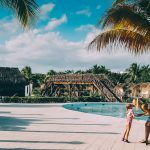 In addition to being great for anyone looking for a more restful sleep it is also great for ADD/ADHD, Sleep Disorders, PTDS, Nervous System Distorders and much more. This Holiday season give the gift of a natural sleep aid that offers amazing comfort and is crafted of breathable 100% cotton. 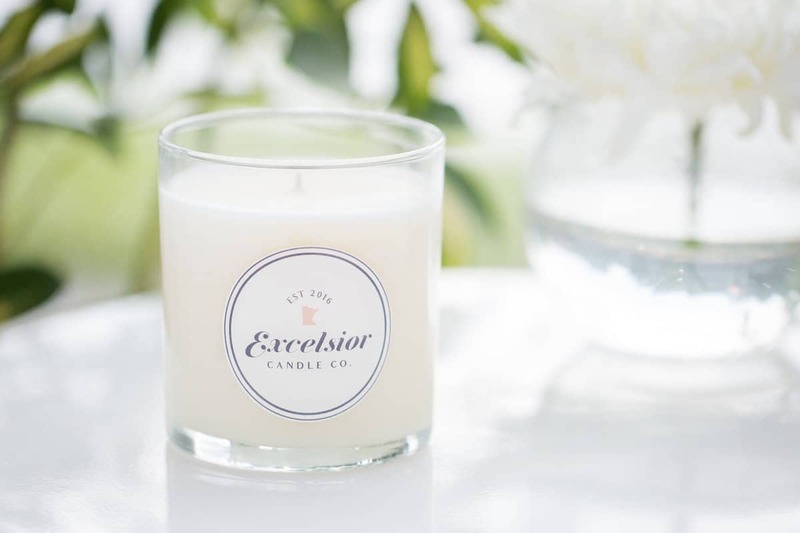 Excelsior Candles are hand-poured in St. Paul, Minnesota, and made from the finest ingredients. 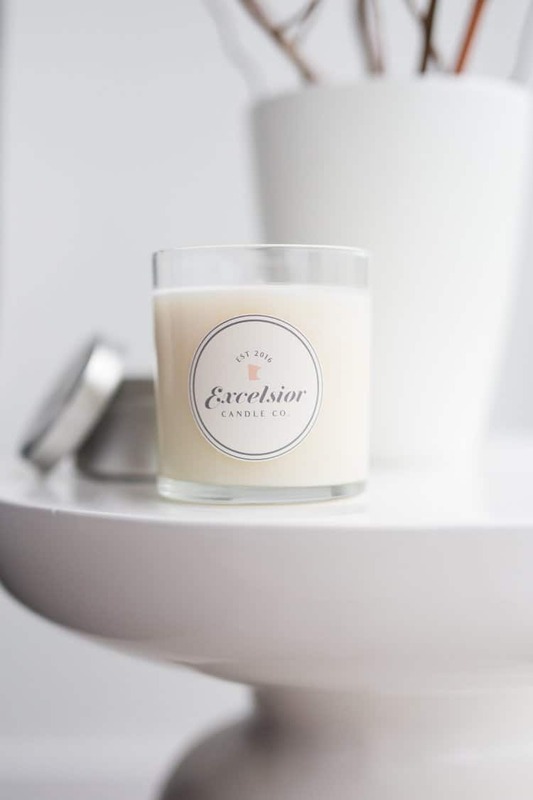 Using renewable, biodegradable, soy wax, and lead-free cotton wicks, you can rest assured knowing that your family will safely enjoy the delicious scents that only Excelsior Candles can provide. We fell in love with the Christmas Hearth and Santa's Hot Tub scents. Perfect for the holiday season, each with their own festive twists (balsam in one, warm cinnamon and spice in the other), your home will smell so delicious this December and all winter long. 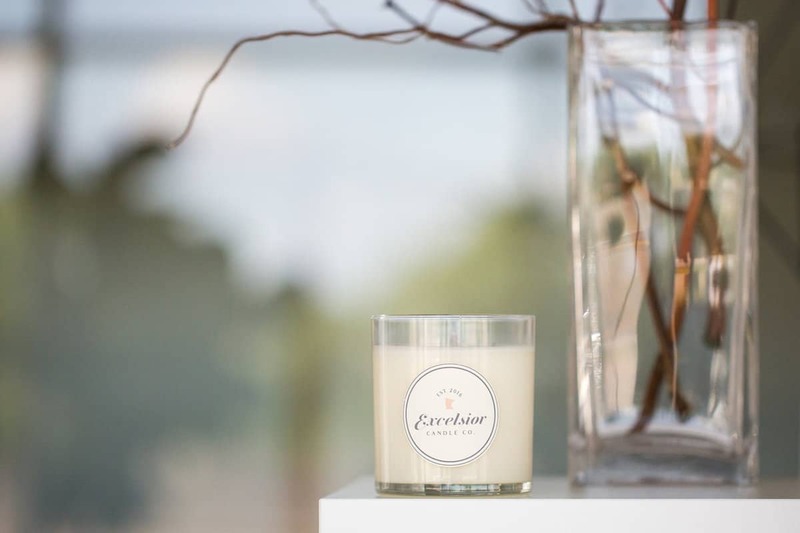 We also adore Excelsior's Autumn Harvest scent, bursting with every bit of fall-scented delight that you could want in a candle. Their Lavender Vanilla blend is the perfect soothing scent to accompany a hot bath, or at the end of a long, stressful day. Each Excelsior Candle is scented with proprietary blends that you won't find from any other candle company, and created with essential oils. They fill your home with amazing scents, but are not overpowering. The 11-ounce candle are poured in heavy glass jars, perfect to reuse after your candle is gone, and stunning to put on display. 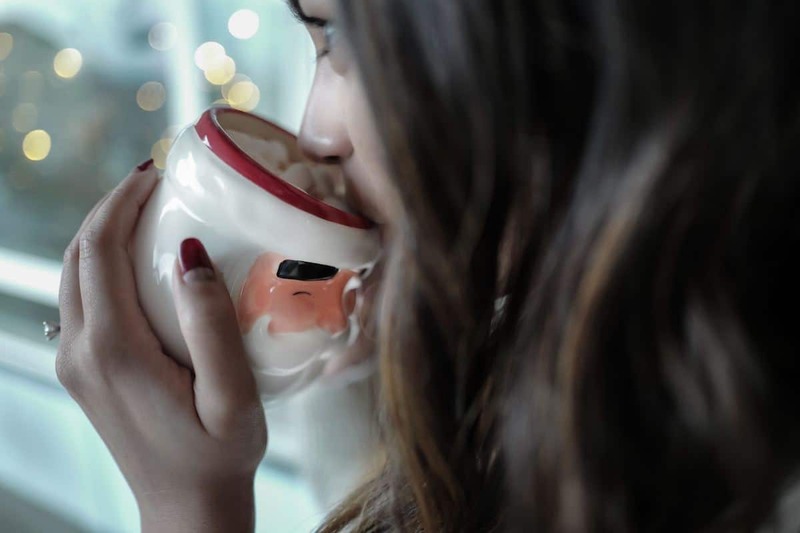 These scents are sure to make your home feel a bit more like the holidays this year, bringing in all the hygge feelings and coziness. Looking to give something personal this Christmas? 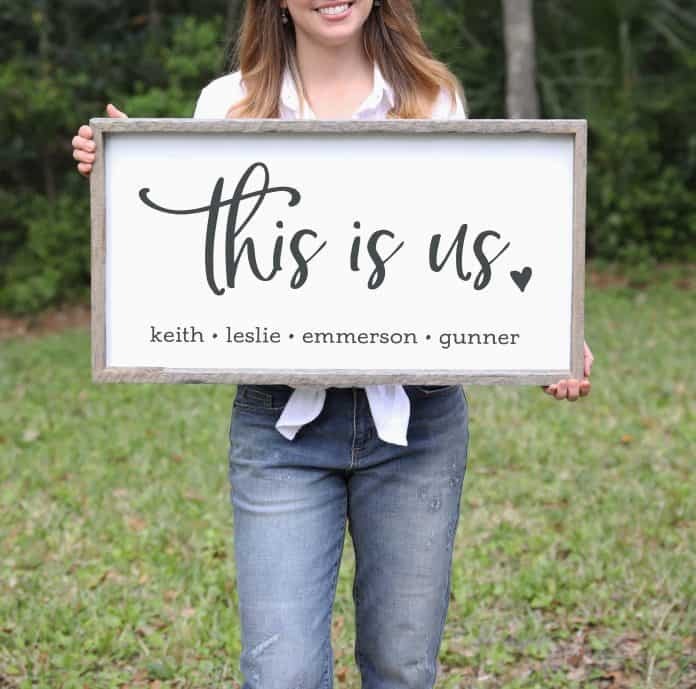 If you have a friend or loved one who has been working on a family photo feature wall, a personalized "This Is Us" sign from KnotnNest is just the gift to make their home complete. 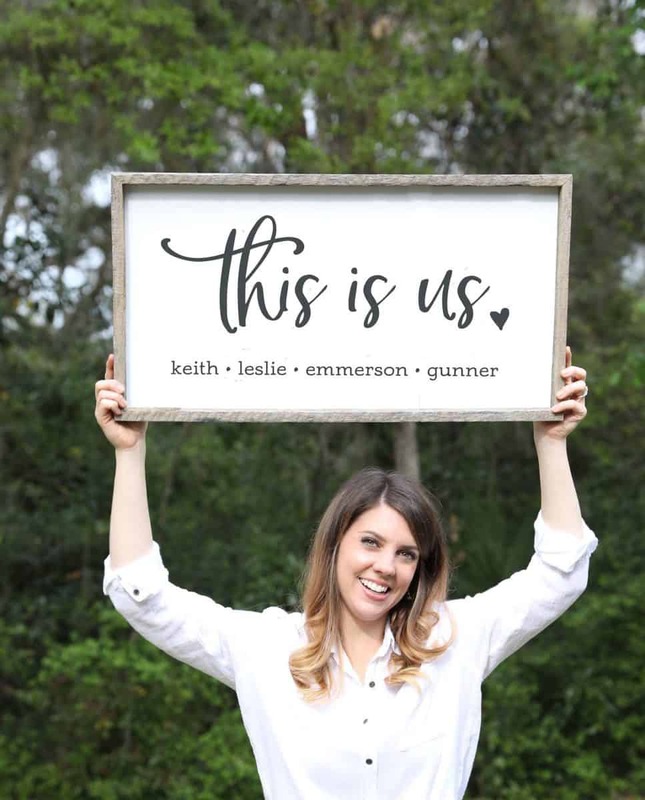 We particularly love that Knot & Nest’s farmhouse signs can be customized in ANY way for you and your family! They come ready to hang and are large enough to stand on their own or can be incorporated into a gallery wall. These signs are custom made of white painted wood with distressed grey text and a 100% authentic barn wood frame. If this particular sign isn't to your taste, KnotnNest has a variety of unique home goods that are not only affordable (ranging in price from $15 – $70), but also make great gifts because they are personalized with your family's details, designed on wood, burlap or cotton to accommodate a variety of decor styles, and perfect for any gift recipient (including DAD). Sometimes it's hard to shop for a fitness foodie, but Primal Kitchen is making it easier than ever. Eating healthy during the holiday's is hard and added sugars and preservatives can get the whole family bogged down. If you are looking for the perfect gift to help your foodie friend start their New Years resolutions off strong, look no further than Primal Kitchen. 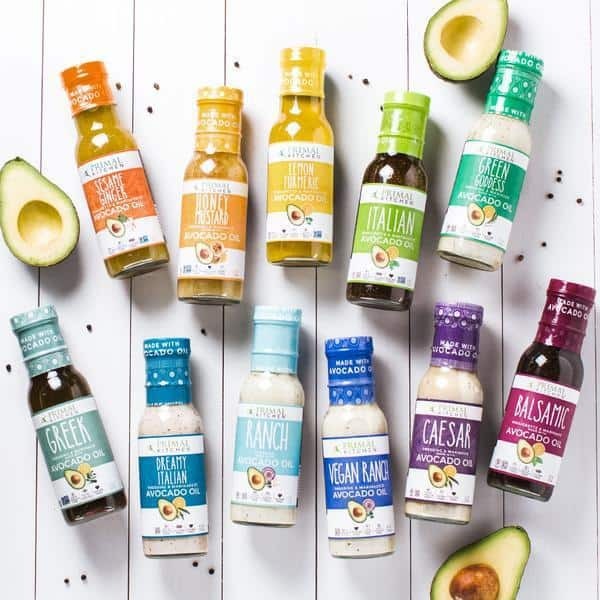 If you are shopping for someone with a food allergy, Primal Kitchen's easy to understand ratings allow you to quickly access if the dressing is soy, sugar or gluten free. 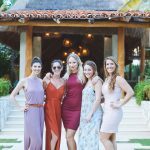 This makes Primal Kitchen products a Go-to for anyone participating in Whole30 or ascribing to a Keto Diet. Marinades and Dressings from Primal Kitchen are the best way to start a meal off right. Each dressing is formulated with organic herbs and spices to help kick start healthy eating goals. Dressings are made with Avocado Oil instead of the traditional Olive Oil found in other dressings. 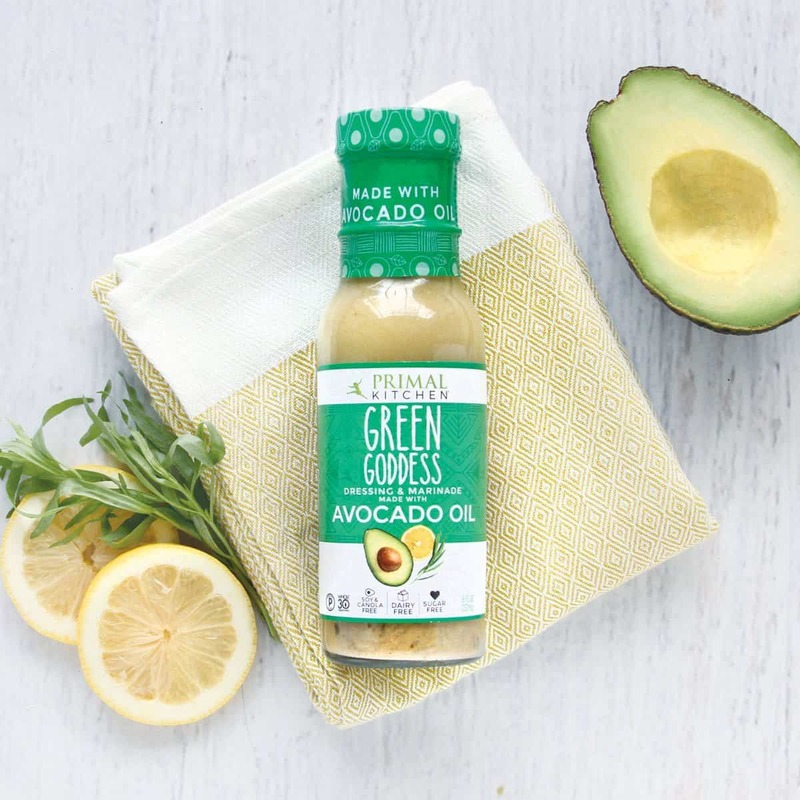 Known for it's low saturated fat content, avocado oil is high in potassium and vitamin E.
GMO verified and certified Paleo, Avocado Oil is amazing for all your high heat cooking. 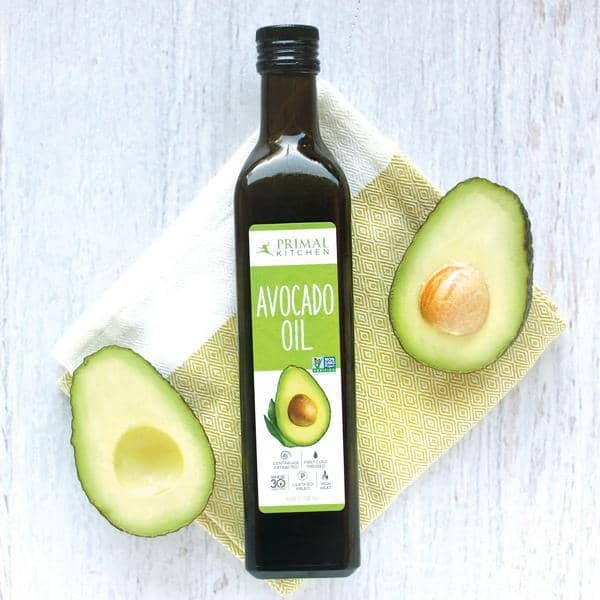 Avocado oil is cold pressed, creating a mild flavor that adds depth to your favorite recipes. As a high heat solution, you can easily swap avocado oil for traditional soy oil in most recipes. The holiday season is a great opportunity for gifting a new set of linens. High quality sheets are a gift anyone can appreciate and the Bedsure Bamboo Bed Sheet Set will put you at the top of Santa's list. Selecting a gift for an environmentally conscious friend or family member can be a challenge. Thanks to BedSure's Bamboo Sheet Sets both you and your gift recipient can sleep more soundly knowing that your holiday treat is completely sustainable. 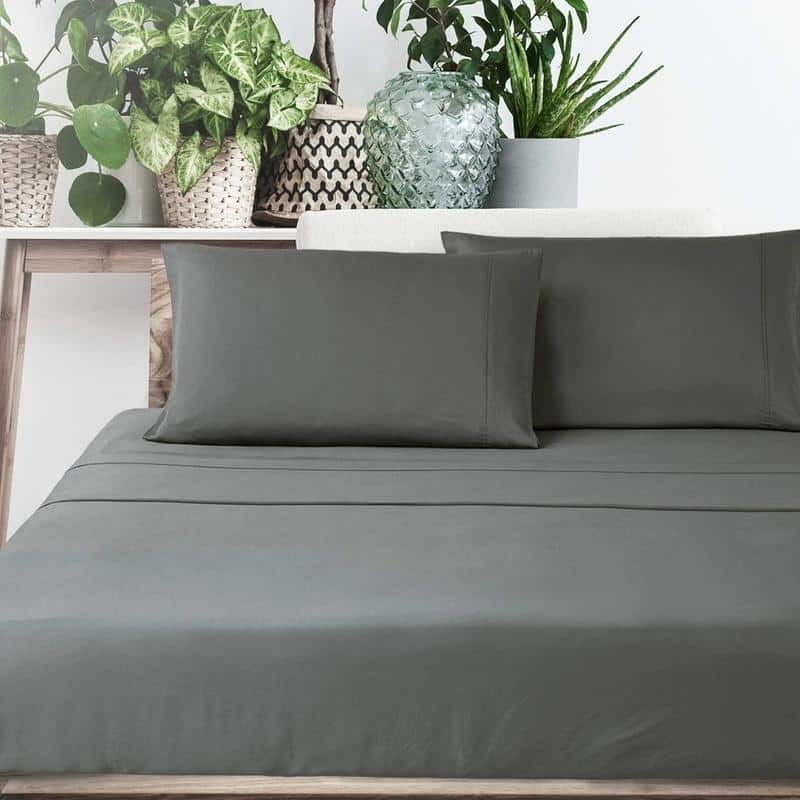 Made from 100% sustainable bamboo, BedSure's 300 thread-count sheets feel softer and lighter than traditional cotton sheets. 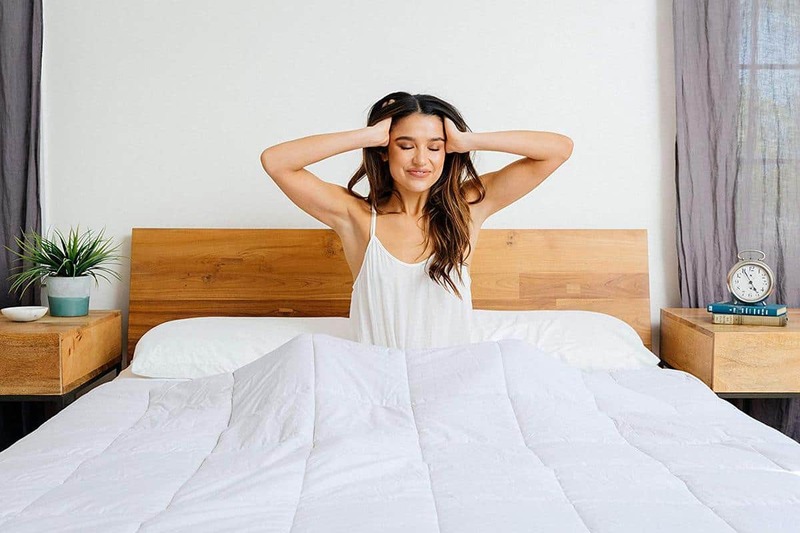 Naturally hypoallergenic and antibacterial, bamboo sheets assist with regulating body temperture while you sleep, creating a deeper and more restful sleep experience. With a wide variety of colors to choose from, it's easy to select a set that matches existing decor or use this holiday season as an opportunity for redecorating. Your new sheets will stay firmly in place, thanks to deep elastic pockets developed to support stretch without losing elasticity. 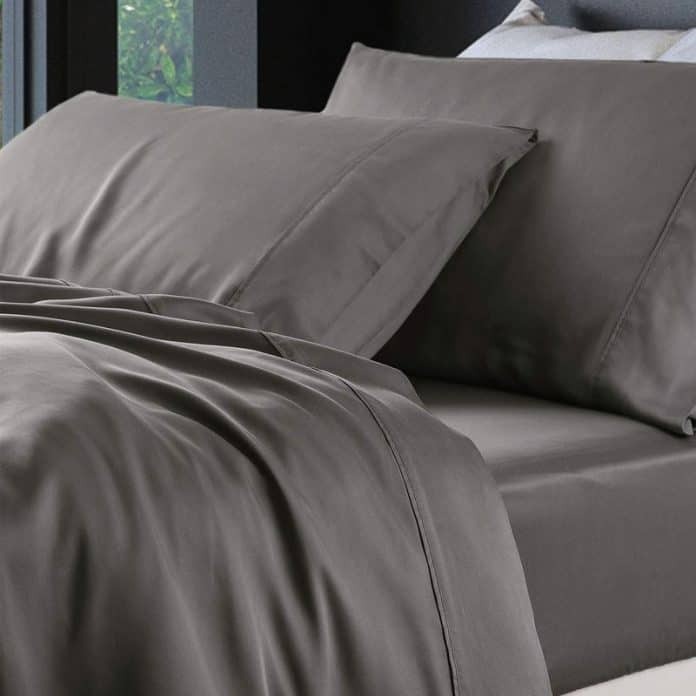 High quality stitching and bedding that is build to last is the earmark of BedSure's product line. BedSure has been developing premium bedding for over 40 years, allowing millions of customers to live more rewarding lives by sleeping better each night. Our kitchen is our sanctuary, and we always want to use products that not only look good but that are also functional for our space. Hardwood cutting boards are classic and they offer a more stylish look than plastic ones, but the problem is always the same: they take up too much space. The woodNflex Flexible Hardwood Cutting Board takes care of that problem. 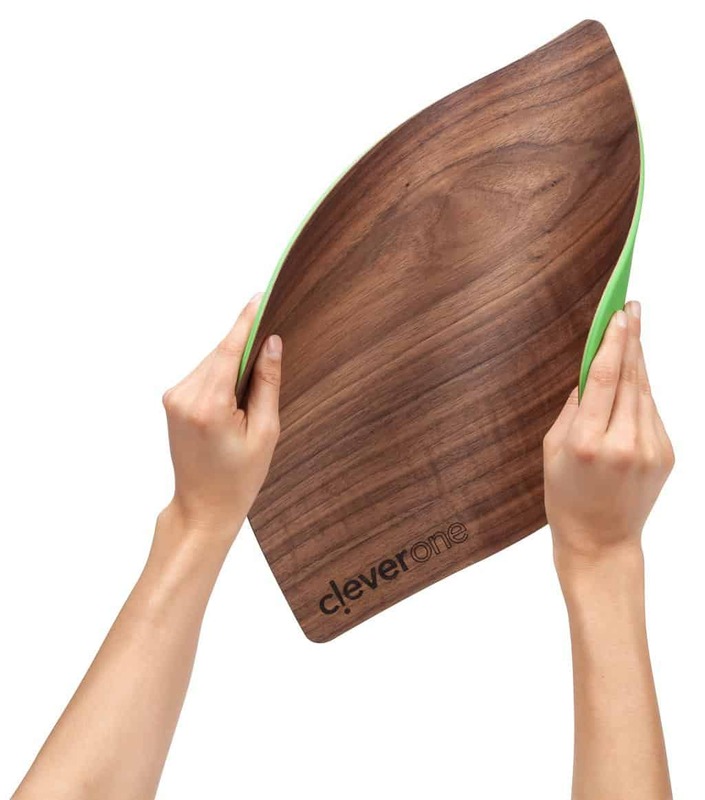 Its stylish and sleek design is exactly what you love about wooden cutting boards, but it is flexible- it can literally bend and fold- so it is easy to store when you're not using it (counter space for days!). 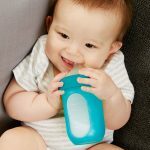 It is made with a silicone back so it won't slip, it is easy to wash, and its flexible design gives you the ability to pour your items easily instead of scraping them into a bowl and making a mess. 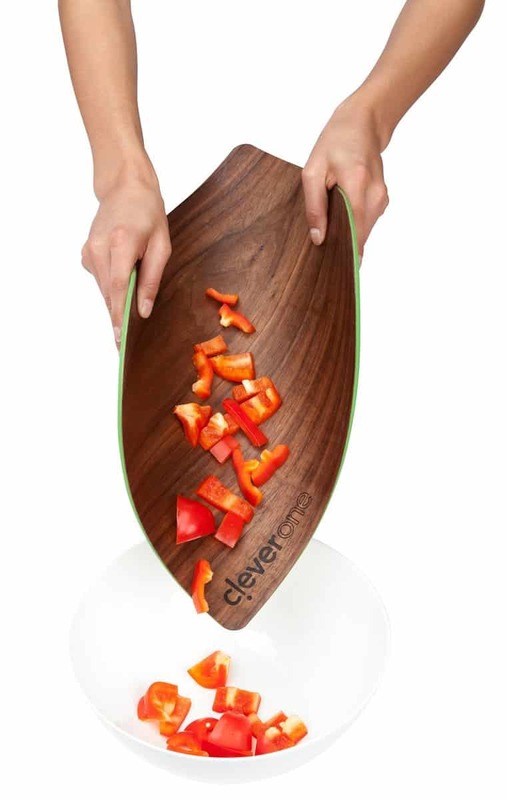 If you have someone who loves style but craves efficiency, then the woodNflex Flexible Cutting Board is for them. Let's face it, sometimes we over indulge in the holidays. With all the treats, eating out, and big meals it is hard not to. Perfect Bars are a delicious snack that feels like you are indulging but are actually good for you. 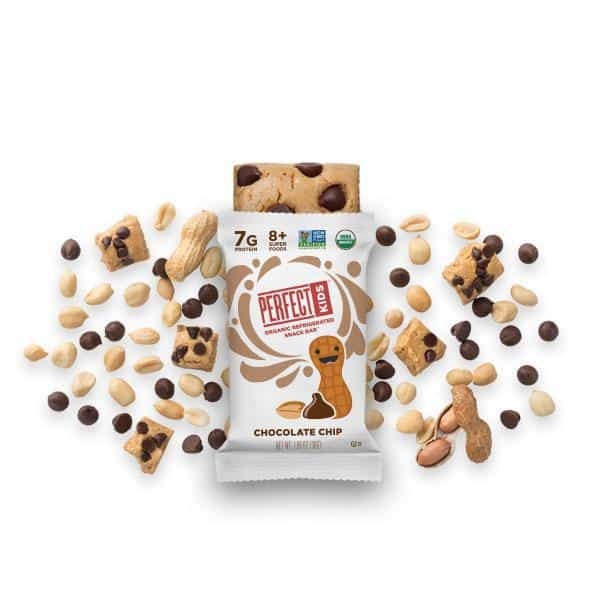 The kids bars are to die for- your kiddo will think they are eating a cookie. Each bar is made with freshly ground organic peanut butter, organic honey, and gluten-free oats. They also deliver seven grams of whole food protein and eight superfood veggies. 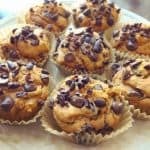 Yep, that is right: veggies hidden behind a delicious peanut butter cookie taste. All Perfect Bars boast a clean-food label and are gluten-free, Project Verified Non-GMO, low- GI and kosher. 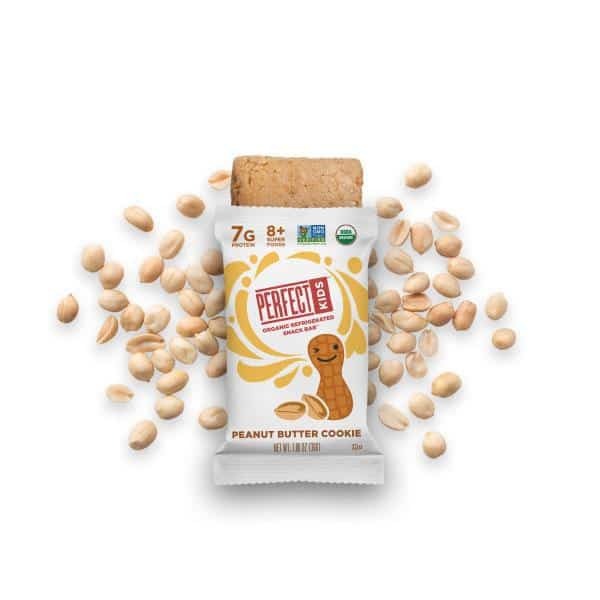 The kids bars come in two delicious flavors: Peanut Butter Cookie and Chocolate Chip. Go ahead and indulge this holiday season with the Perfect Bar, found in 500 Target Stores nationwide. Spreadable butter is the “greatest thing since sliced bread". Gone are the days of trying to spread butter that is cold from refrigeration. 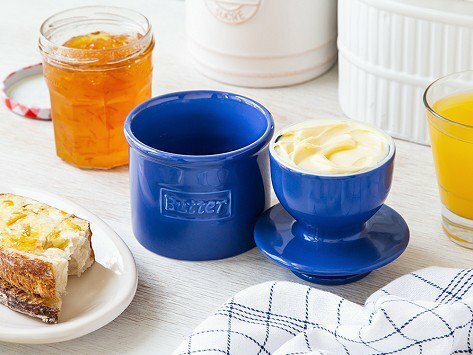 The Butter Bell French butter crock is the staple everyone should have in their kitchen. Simply smash the butter in the lid, add enough cold water to the base to just cover the butter and create a seal. Spread it on your toast for breakfast or use it when your recipe requires “room temperature butter”. There is no turning back once your hooked. 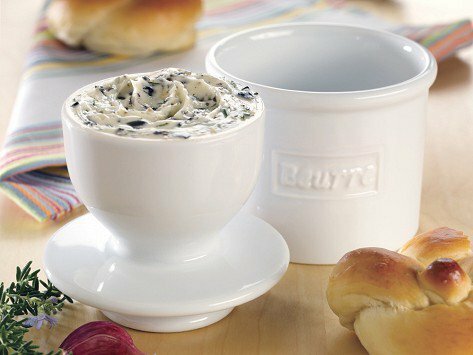 You might even find yourself wanting one for regular butter and one for your favorite herb infused butter. This classic bone china container will look great on your table or countertop. If your uneasy about keeping the butter out, just follow the recommendation of changing the water every 3 days to keep it fresh. We have the perfect gift for all the coffee lovers in your life. 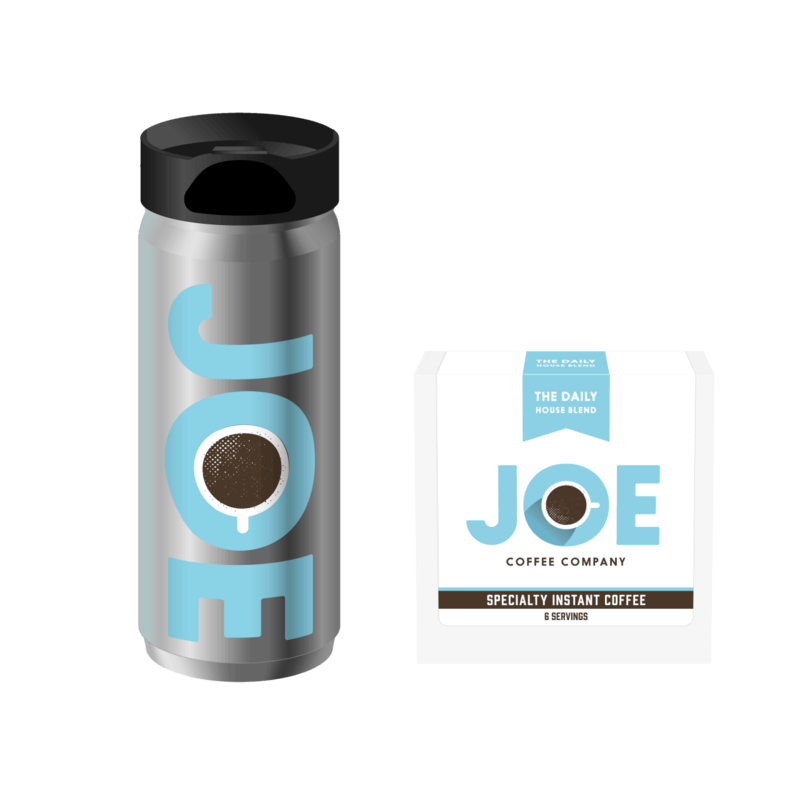 Tired dads, hardworking mamas, and coworkers that need that mid-day pick-me-up will all love Joe Coffee. Offering two awesomely priced holiday gift sets that will have you checking off boxes on your "to buy" list. 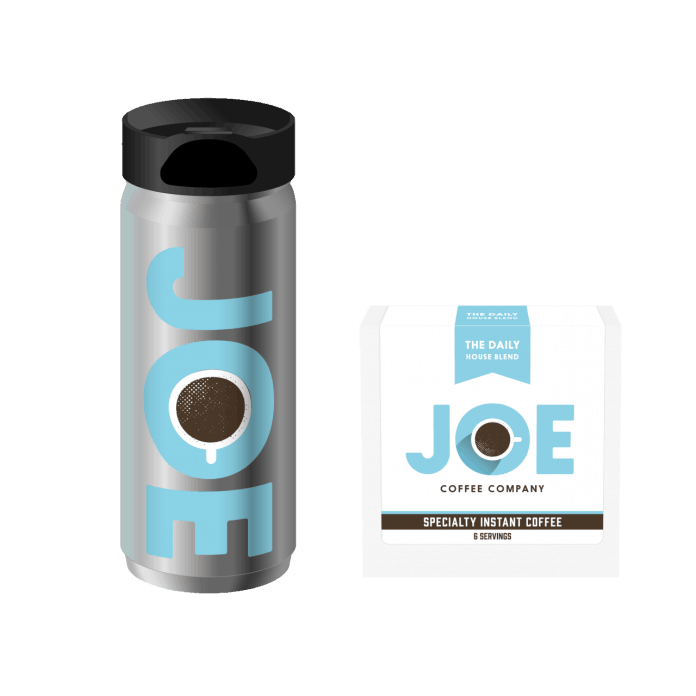 The Speciality Instant Brew Kit includes one box of Joe Coffee's new specialty instant coffee plus a travel tumbler. Perfect for the on-to-go travel in your life. They will love waking up to the taste of freshly brewed coffee without all the hassle. The travel tumbler can fit easily into a toiletries bag for easy travel. Bonus: they dissolve just as well in hot or cold making this instant brew very versatile. 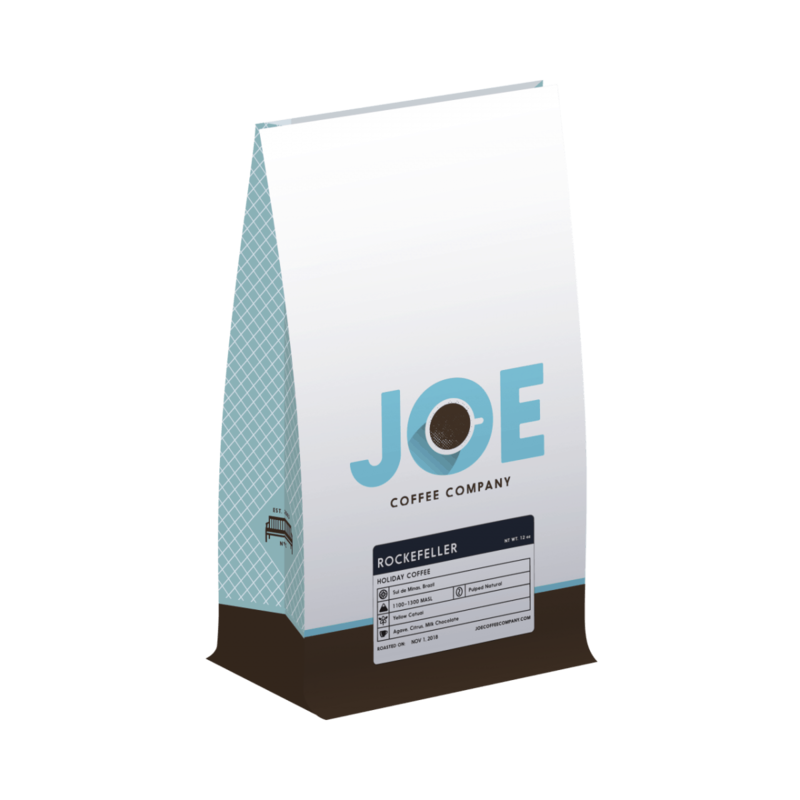 The Joe Coffee Holiday Coffee Gift includes one bag of Joe Coffee Company's signature blend, The Daily, plus one bag of their 2018 Holiday roast, the Rockefeller. Both will delight all the coffee lovers on your list with full-bodied flavor and rich aromas. A portion of all the "Rockefeller" coffee bought this season will be donated to New York Cares Coat Drive. Most of us spend most of our time in our house, and we love our creature comforts that make it our home. These gifts for your home will make it feel even more comfy and cozy for you or for a loved one.